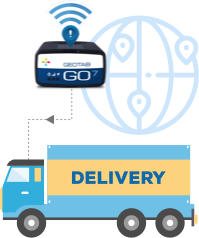 DispatchTrack partners with Geotab to provide best-in-class, fully integrated Telematics and Compliance solution. Whereas you are trying to focus on staying competitive by provide best-in-class service and focus on reducing operational costs, DOT regulations can slow you down and the constant worry about driver safety can take your focus away from the business. Having an easy-to-use, well-integrated solution gives you one platform to manage from. Geotab web application to track and trace all details. The GPS device that is provided with our Telematics and Fleet Management solution is a hard-wired device. This not only eliminates the possibility of not getting proper GPS coordinates because of depending on the driver’s mobile device, but this is also a requirement in order to stay compliant for the ELD Mandate. Driver safety is critical. We don’t want the driver to get into trouble because of bad driving habits. Any accidents can even cause unnecessary expensive liabilities to the company. In order to ensure driver safety, you need to monitor their driving habits. DispatchTrack gives you real-time data about the driver and the truck so that you can send out any corrective instructions right away and potentially avoid unnecessary accidents. If your trucks drive over a 100 miles daily, then you must use and ELD to capture Hours of Service. 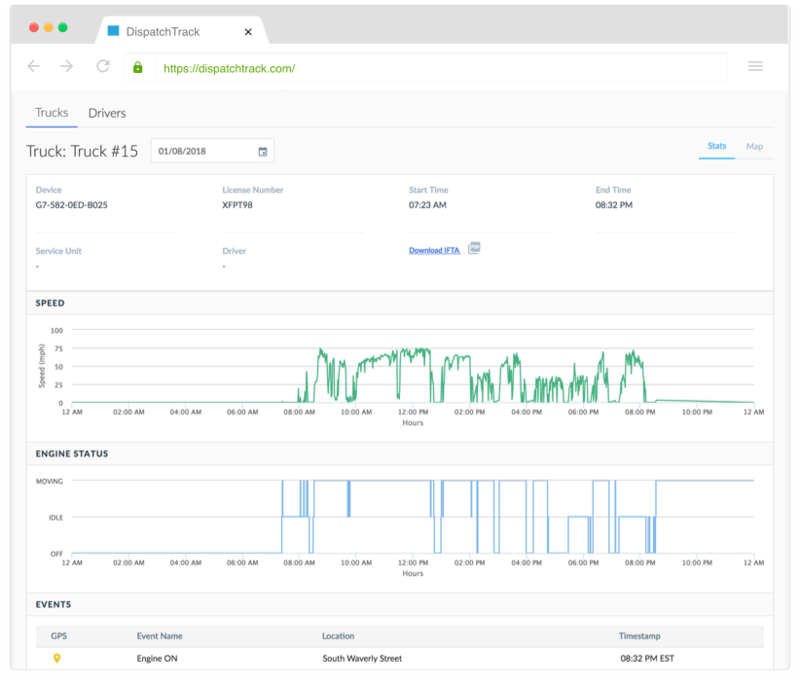 DispatchTrack’s Geotab-integrated solution gives your drivers an easy-to-use interface for ELD with a complete set of features so that they can capture their HOS details and also present them to an officer when needed. All of these reports are also available to you on your web portal for download and reporting. DispatchTrack also provides you with easily downloadable IFTA reports that are already categorized by state so that you can file these easily. In a food-delivery truck, temperature monitoring is important to stay compliant with DOT regulation. DispatchTrack gives you temperature monitoring and tracking so that you can stay compliant, and also make any necessary adjustments very quickly.